The Stream range is fantastic and comes with a great quality finish with square column legs. 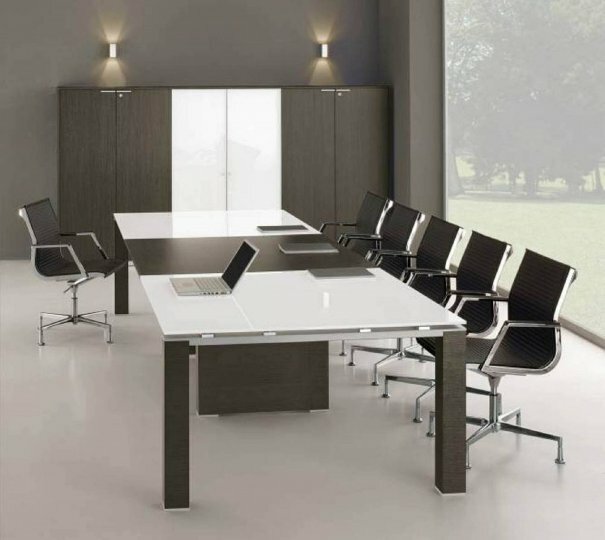 These desks come with the same Stream finish, complimented even more so with the use of glass. The wood finishes come in 3 different colours and the under-frame is made from durable steel. Manufactured to a very high quality in Italy, the lead time on these tables are around 2 weeks. Optional installation can be organised. Please feel free to contact one of us at the office. We are more than happy to help you if there are any other questions that you may have.